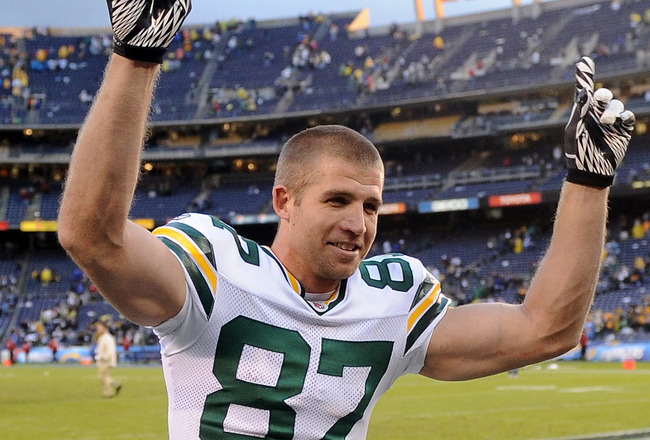 Packers wide receiver Jordy Nelson signed a 4-year, $39 million contract extension on the first day of Training Camp. Jordy Nelson is one of the most underrated players in the NFL, but not one of the most undervalued – at least not anymore. On the first day of Training Camp, the Packers’ star receiver signed a 4-year, $39 million contract extension. The deal also includes an $11.5 million signing bonus and $14.2 million in guaranteed money. In 2013, Nelson had the best season of his career, posting 85 receptions for 1,314 yards (both career highs) and eight touchdowns. While Nelson’s stats are impressive, perhaps what’s more impressive is that he managed to put together an elite season without the services of quarterback Aaron Rodgers, who missed seven games after breaking his collarbone. During that span, Nelson relied on Seneca Wallace, Scott Tolzien and Matt Flynn to throw him the football. Those are hardly Rodgers-caliber quarterbacks. Nelson’s numbers understandably dropped off without Rodgers under center, but he never completely slowed down. Despite the Packers’ quarterback carousel, Nelson stepped up in Rodgers’ absence and played a crucial role in the team’s push to make the playoffs. He should have made the Pro Bowl, but considering how much of joke that game is anyway, I’ll refrain from further comment. Just days before inking his new extension, Nelson announced he was seeking a contract that would pay him at least $10 million per year. That was dangerous territory for a 29-year-old receiver playing for a team with a history of letting receivers walk when they’re pushing 30. Former Packers receivers Greg Jennings and James Jones both were 29 when they tested the free-agent market. Jennings – whose ego was too big to return to Green Bay – eventually signed with the Minnesota Vikings in 2013. Jones signed with the Oakland Raiders this offseason. He was nothing more than a No. 3 receiver in the Packers’ offense, although he led the NFL with 14 touchdown receptions in 2012. Rodgers said Nelson has the best instincts of any receiver he’s played with during his career. That’s high praise from one of the NFL’s premier quarterbacks. The Packers have a great deal of youth at the position, so they simply couldn’t afford to let Nelson reach free agency. He is the most reliable asset in the Packers’ receiving corps and has a connection with Rodgers that ranks among the NFL’s best. With so much conversation throughout the league regarding the best quarterback-receiver duo, most would list Matthew Stafford to Calvin Johnson, Peyton Manning to Demaryius Thomas, Matt Ryan to Julio Jones, Tony Romo to Dez Bryant, Andy Dalton to A.J. Green, or Jay Cutler to Brandon Marshall. Rodgers and Nelson are often excluded from the conversation and rarely garner much media attention, but they have quietly put together an impressive résumé that certainly merits consideration. Since 2011, Rodgers has thrown to Nelson 224 times, completing 158 passes (70.5 completion percentage) for 2,683 yards, 26 touchdowns and a mere three interceptions. Those stats result in a ridiculous 143.9 passer rating. To put it into perspective, the next-closest passer rating is 123.0, by Peyton Manning to Demaryius Thomas. Now I ask you, who is the best quarterback-receiver tandem in the league? The numbers speak for themselves. Packers fans can rejoice, knowing the 12-to-87 combination will be around for several more years, giving the team a consistent threat in the passing game. Opposing defenses can continue to underestimate Nelson. He’ll continue to make plays. 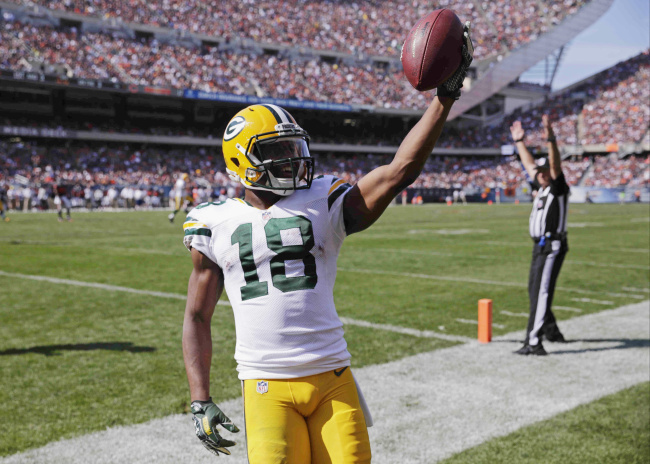 Next on the Packers’ agenda is Randall Cobb, whose rookie contract will expire at the end of the 2014-2015 season. 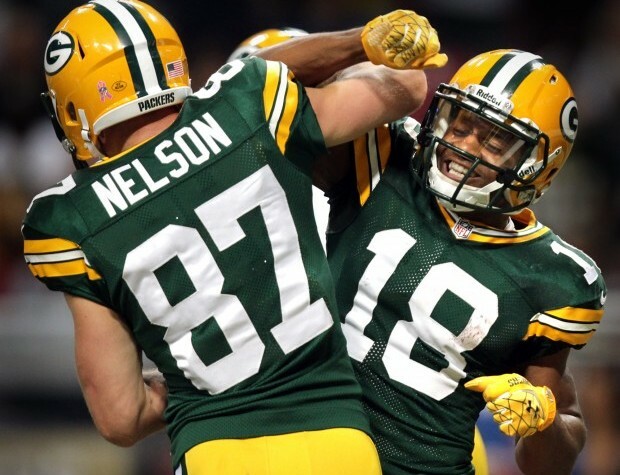 Cobb doesn’t believe he’s earned an extension yet, but you can be certain he’ll make the most of his opportunities this season to prove his value, the same way Nelson has throughout his career. The end result might be a similar contract extension.